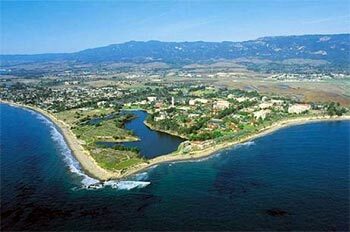 The University of California, Santa Barbara offers a Graduate Emphasis in Cognitive Science. Doctoral students from eleven departments (Anthropology, Communication, Comparative Literature, Computer Science, Education, English, Geography, Linguistics, Music, Psychological and Brain Sciences, Religious Studies) may add an Emphasis in Cognitive Science to the Ph.D. in their home department. The program includes faculty and students in the College of Letters & Sciences, Gevirtz Graduate School of Education, and the College of Engineering from the ten departments listed above, as well as participating faculty from several additional departments (Electrical & Computer Engineering, Media Arts & Technology, Sociology, Philosophy, and Counseling Clinical & School Psychology). The subject matter of the Cognitive Science Program reflects the intersecting interests of the nearly fifty participating scholars within these departments. The Program provides an organizational structure that facilitates sharing of research interests and collaboration among faculty, and translates these activities into training opportunities for graduate students. Students who meet the requirements of the Cognitive Science Emphasis will graduate with a Ph.D. from their home department along with wording on their transcript stating they have earned an Emphasis in Cognitive Science. Cognitive science is an interdisciplinary field that has emerged during the past few decades at the intersection of a number of existing disciplines, including psychology, linguistics, computer science, philosophy, and neuroscience. It may be defined as the interdisciplinary study of thinking, perception, and intelligent behavior, as determined jointly by the nature of the environment and by the internal architecture of the intelligent agent, whether human, animal, or machine. Previously, each discipline sought to understand intelligence from its own perspective, benefiting little from progress in other fields. With the advent of Cognitive Science, however, theoretical insights and methodologies have been shared among disciplines, and interdisciplinary interaction has become the hallmark of the field. It is a field founded on the principle that new knowledge should be developed at the intersection among disciplines, and that collaboration will serve to preserve and strengthen all participating disciplines.